Dollar stores and, of course, our favorite dollar section have the cutest goodies during the holidays. Halloween has always been one of my favorite holidays for grabbing some “necessary” learning materials. 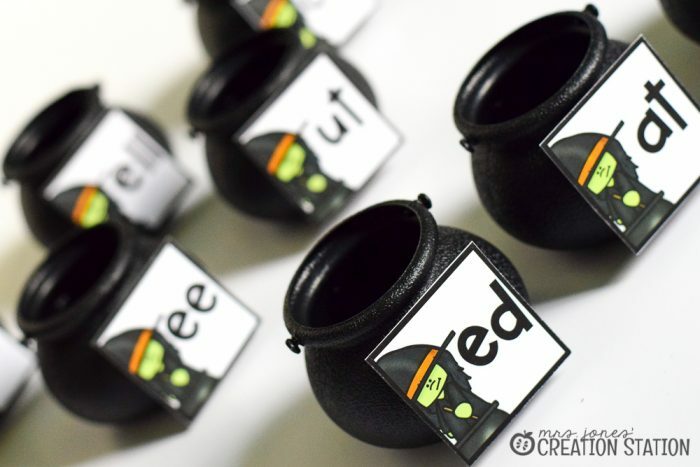 Then I found these perfect cauldrons for a fun Halloween center to teach word patterns. Miniature things are always cuter. I am positive this fact has been researched and found to be true. Absolutely positive! I grabbed these cauldrons at the Target’s Bulleye’s playground. But, Amazon also has them available here . Literacy centers can come to fruition because there is a need. Others happened because of cute cauldrons. This literacy center was a combination of both. 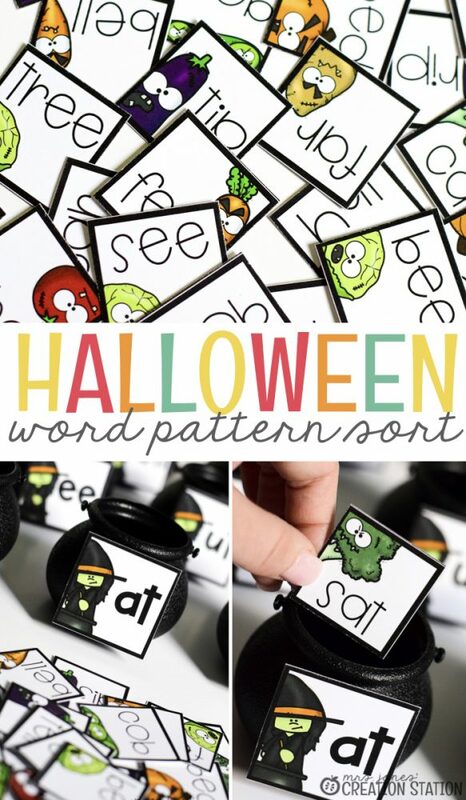 Halloween is around the corner and word patterns are a skill we are reviewing. So creating a word pattern literacy center was perfect. 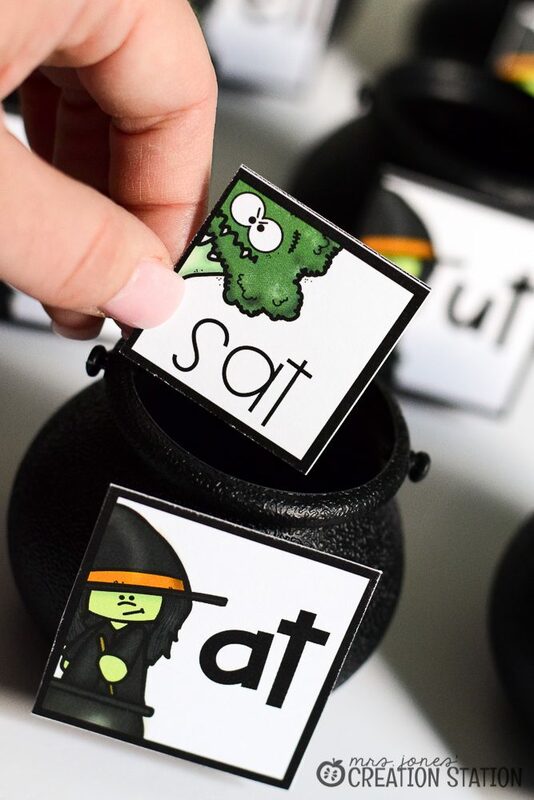 Witches and rotten vegetables were the perfect fit for our fun cauldrons. And ta-da…Halloween magic was created. This sorting center is perfect for partner work. 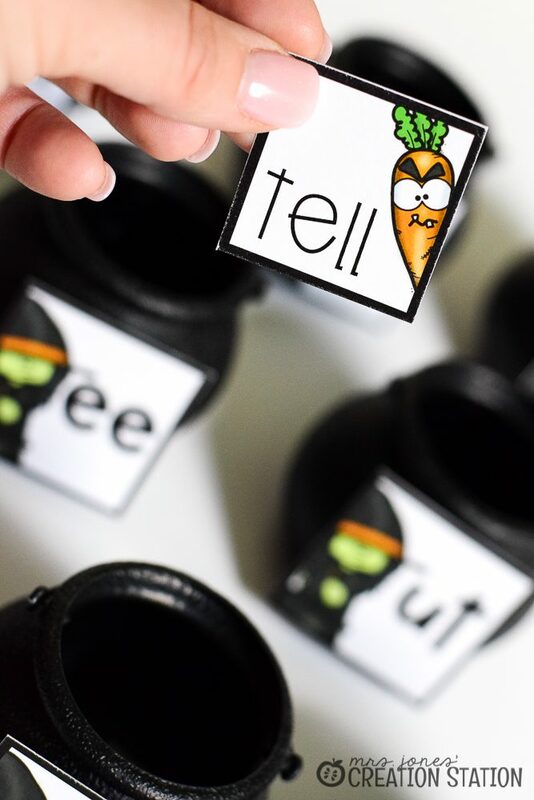 A great activity for independent literacy centers. And a fun holiday addition to a guided small group lesson. Learners can read the word on the card. Find the matching cauldron and start cooking! 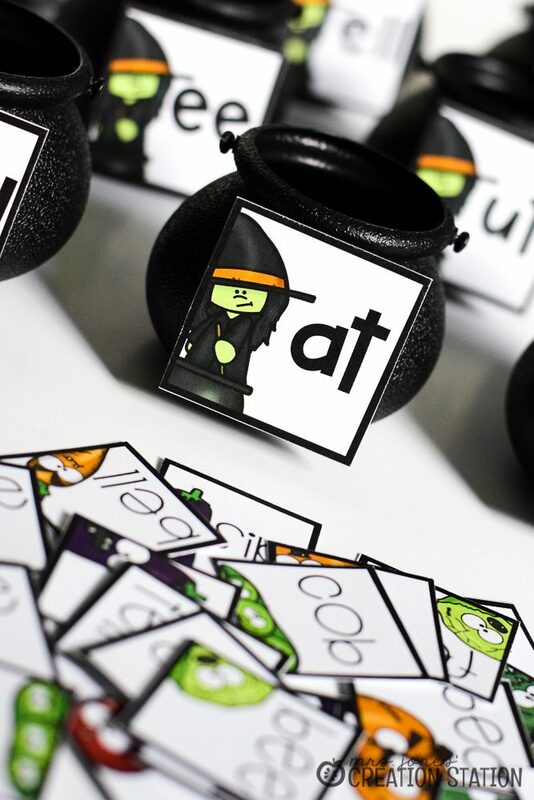 Do you want to add this literacy center to your stash? Download it for free by clicking the MJCS download button at the bottom of this post and waiting to be redirected in your internet browser. The perfect STEAM week of fun is available in our Halloween Thematic Unit. Learners can get crafty with this invitation to create spooky creatures. Not ready for word patterns? Then, grab this free initial sound sorting literacy center.